You may or may not remember that since January 2010, I have been working at the library of the Academy of Natural Sciences in Philadelphia. One of the great treasures in the holdings is a complete set of The Birds of America, by John James Audubon. Until a few weeks ago, it was a regular practice to turn the page in one of the five volumes once a week on Friday at 3:15. The public is invited, and it's also very popular with other staff in the Academy. 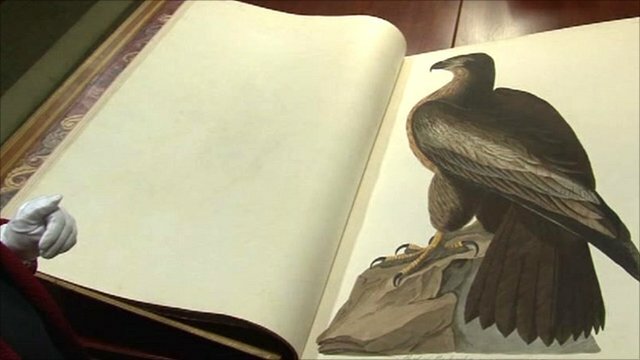 Until this past January, I was one of the two librarians who got to turn the page and do a 15-minute or so presentation about the Audubon, the book, and the bird of the week. Then a new librarian was hired to replace the other one who retired early this year. He took it over completely, with the support of our former director (aka The Evil Boss) who thought he was just right for it, because his "English accent sounds so educated and elegant." The only time I got near it was if he was out on a Friday. Well, by the beginning of July, the Evil Boss had moved on, and the reference librarian was let go, having not successfully passed his six-month probational period favorably. Also, the new President of the Academy decided that we should turn a page every day, so more people would have the opportunity to attend, and see the work. And who was left to do it? Me, with my lack of English accent. (Let me say that I don't think I have any accent at all - more especially, I do not speak like Cletus the Slack-Jowled Yokel.) We have opened it up to other staff who wish to volunteer, but it has more or less become my "thing." I enjoy it, and love having the opportunity to touch such a valuable piece of work, and see it up close and personal. Enter the BBC, who are making a series called "The Art of America," which is part of a series they have done in other countries as well. Their first stop was going to be Philadelphia, and our Audubon! I had a phone interview with one of the producers, at which it was determined that "no offense, but you aren't quite what we want," and was there anyone else who could do it? I was not upset, because to tell you the truth, representing the Academy as an Audubon "expert" was not something that made me feel very comfortable. I suggested my friend and Academy colleague Greg Cowper (I told you about him here), who is not just knowledgeable, but very charming and articulate. They talked to him, and decided that he was just what they wanted. Greg told me that they wanted to film a page-turning, and he was going to insist that I do it. Which was fine, but I didn't give it a lot of thought, since that ship with me and the BBC had already sailed. So we arrive at last Monday, July 25. We had been told that they would arrive to start filming at 2:00 p.m. There was a lot of anticipation in the air, and we were all busy cleaning up, etc. The crew arrived and set up. They were going to start filming with the page-turning, which was supposed to be done by Greg, and then follow-up with an interview segment. About 2:55, my supervisor stuck her head in my office door, and casually said, "Bridget, you'll be doing the page-turning today." I have no idea how that happened. Maybe they got tired of hearing Greg say it should work that way, maybe my supervisor told them that was how it would be, who knows? And that is how, at 3:15 p.m. on that afternoon, I found myself being filmed by the BBC, talking about Audubon and The Birds of America. It's been fun to talk about, and also very surreal. I'm not sure it really happened. But I can tell you that never in my most incredible imagination of events that would happen in my life, did I ever see myself talking like I knew what I was talking about on behalf of the Academy of Natural Sciences of Philadelphia, the oldest natural history museum in the Americas, to the BBC! If you live in Philadelphia, or are visiting, though, please join us Monday through Friday at 3:15 in the library for the Audubon page-turning. I may not be the one doing it, but it's always interesting. On Wednesdays through August, a group from our Ornithology Department do it, and bring actual specimens from their collections as well as some collected by Audubon himself, which is way beyond cool. Seriously? This is how you want to play it? Dear Universe ~ I know you have a lot going on, and I can appreciate that a lot of stuff probably falls through the cracks for you. For instance, it would have been a good thing if you had been paying more attention to the crazy person in Norway, instead of, oh I don't know - Kim Kardashian suing Old Navy because someone on their commercials looked too much like her. But we all have our moments, and you Oh Great Universe are no more perfect than the rest of us, I realize that. Overall, I am content with my life. I am lucky enough to have a great (if crazy) family, a job that I like and where they seem to like me, a house that is perfect if not perfectly fixed up, and general good health. So much more than I should expect, and incredibly more than so many others. I am grateful, even if I don't realize it every single moment of every single day. But I would like to know why, at random times, you decide to mess with me all at once. You may not realize it, but 99% of the time, I try to pay attention to people and things around me, and do the right thing. Whereas, it seems that there are plenty of others who could use a nice whack upside the head. Not for me to decide, but really - it doesn't take Stephen Hawking to figure it out. 1. The heat and humidity. Actually, I'm giving you this one. Because it is summer, and though I think you've gone way overboard, I'm the one who gets irritated when people wimp out in the winter. Still, some nice days and cool nights again would not be admitting defeat on your part as far as I'm concerned. 2. My plans for last Saturday. I had it all worked out, and had saved my money for going to two sales - one at a shoe store that has great shoes and only has a sale once a year, and one at the fabric store where I was taking the sewing class. Spending the day instead at a local ER with an abscessed, infected subcutaneous cyst, and then walking to the drugstore to get two Rxs filled in the 100-degree heat + humidity was not part of said plan. I'm very glad all is well now, but really? You couldn't have waited until my scheduled doctor's appointment for today? That just seems inconsiderate. 3. And while we're at it, my sewing class. As you know I had also saved money to pay for that, and buy the material and pattern. I was really excited about it. Then I realized after the first class that the finished dress would be too short. OK, that could be resolved with a different fabric "trimming" the hem. I paid such close attention when we took our measurements, and listened when the instructor told me what size would correspond. I took my time, followed the instructions exactly. And what did I get? A dress that is too small. Thanks for nothing. 4. Though this one isn't directly mine, what about my friend Kate? She has spent the last four months taking care of a kitty called Frank, who had to have his tail amputated. She has posted pictures and stories about how wonderful he was on Facebook. He was ready for adoption, and although The Tim did not want us to take him (he wants time for Pip to really settle in), I told anyone interested that Frank was available for adoption. Kate put lots of time into posting on Petfinder, etc. that he was adoptable. Finally the weekend before last, a family wanted to adopt him. But then he died. Unexpectedly, leaving the family bereft, and Kate so incredibly sad because she not only took care of him, but loved him as well. This one has me really puzzled, 'cause she does foster animals and care for them all of the time, and really doesn't expect any reward except knowing an abandoned animal found a loving home. This one is just uncalled for, if you ask me. Granted, something else I had to do unexpectedly yesterday ended up turning out well. But I would like to make a request, that the next time you decide to "choose" me, you'll spread it out or better yet, skip me for a few months at least. P.S. Having said all of the above, if the choice is between me and my family and/or friends and/or pets, then do choose me. But elstwise, I'd be happy to submit a list of a few people who could use some of your attention. Oh, that reminds me - I have something to show you. 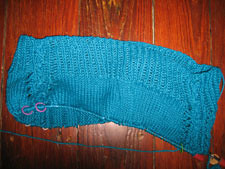 This is a picture of the beginning of my Narrangansett (Ravelry link). It looks nice and breezy to me, and the turquoise is very nice-weather-calming as far as I'm concerned. 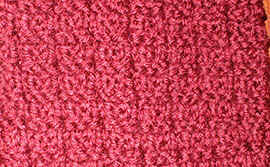 The yarn I'm using is Nashua Handknits Creative Focus Linen, and so far, I'm very happy with it. Turquoise is one of my favorite colors (especially in summertime) and Narragansett = New England, which I love, so it all just seemed to come together. If it turns out, I will be a happy camper (and knitter!). This weekend I will probably stay put for the most part, and The Tim has to work, so it will be low activity level anyway. Just as well, since it's supposed to still be a bazillion degrees, and I just get even more irritated with the world than usual when it's like this. If I stay home, I won't hurt anyone. As a woman said on the TV news the other night, when she was interviewed as a witness to a street fight: "Seems like the hot weather gets here, and people start actin' the fool." Ahhh, the end of the work week. So welcome, and they are even predicting nice weather for this weekend, before it gets uber-icky again next week. So I'd better enjoy it while I can, right? Thank you to all of the commenters who sympathized and then offered solutions for my sewing class dilemma. I had sent a note to Laura, who owns the store where I am taking the class, and not only did she suggest fabric for the bottom of the dress as trim, but she helped me choose it last night when I stopped at the shop. I am feeling all excited again about my project! Hey, you should check out friend and cat-sitter extraordinaire Kate's new knitting blog here! She just started blogging, but she has been a knitter for a long time, and has an excellent eye and touch for the quirky. Jetsam and Pip said to tell her that they sent you. Dear William and Kate - you seem like two lovely people, but please just enjoy your life together for a while without the rest of us. Thanks and good luck. Tomorrow we have plans to go the beach for the day. I plan to knit, read, listen to music, and pretend I'm on vacation, even if it is just for a Saturday. I have done pretty well this week, paying more attention to what I am eating and why. While the Evil Boss was in power, I did a lot of eating to comfort myself from the stress she caused. Which then of course caused its own kind of stress. I'm nearly back to my usual, healthier habits, and pleased with myself. Having said that, The Tim and I have decided that tonight we shall have a drink with every show that we watch. (Which means I'll probably be zonked out and go to bed even earlier than usual.) But he's had a stressful week, and I'm just glad it's Friday, so we can live it up for a change. I am currently reading State of Wonder by Ann Patchett. It is frustrating to me, and I am not sure if I'll stick with it or not. I am loving my Nook Color, though I am addicted to the Word Puzzle and Solitaire apps, and sometimes the Basketball game. The Tim is obsessed with Angry Birds. I would be better off with it if it was only an e-reader. And we both need lives. That's it for now. Have a lovely weekend, and I'll check in soon with a knitting update. In the meantime, do something fun! Yep, it's a two-fer! I promise I won't bore you with every little detail about my sewing class, but thought I'd tell you how the first one went. So, a tiny sewing update, and then on to the knitting! I have done some sewing, but it has always been extremely basic stuff, and until about 2 years ago, when The Tim was kind enough to buy me a sewing machine for my BD, I had not even been in the same room as one, so other than hemming, sewing on buttons and the like, I was out of practice for even the basic stuff. I've been getting back to it, working on small items, and toys, but this was my first article of clothing. And as I mentioned, it was a lined dress, so that was an additional challenge. Sigh. The class was great, the teacher very nice and very good at explaining things. We got started last night by pinning the pieces onto the fabric, and then cutting them out. No problem, right? Except - today it occurred to me that though I was making one size dress, I wanted to make another size's length, or I'd have a minidress. Yep, you guessed right. I have all of my pieces cut out in the shorter length. And I was being so careful! But on to the knitting, where at least at this point, I'm having better luck. 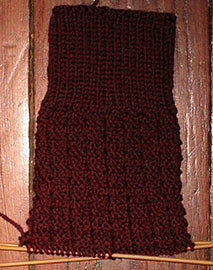 I think I mentioned that I am knitting a pair of socks, using the Graydon pattern. (You can see a picture of it here.) The pattern was designed by Courtney Kelley, now of Kelbourne Woolens fame, before she was part owner of Kelbourne Woolens. So I can't say if/how you could find the pattern today (I was surprised that it wasn't listed in Ravelry when I was entering it into my projects list). You might be able to send Courtney an e-mail and ask her very nicely to re-release it. 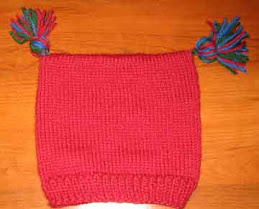 Because, I have to say, this is a wonderful pattern, and really enjoyable to knit. Since I am a poor photographer, it's hard to see the stitch pattern very well in the above photo, especially with the dark yarn. But I did manage to get this shot, where the color is off but the stitch pattern shows up. Nice, huh? You probably already knew this, but Courtney really knows her stuff. (On top of which, she is lots of fun!) If you have the chance to track down a copy of the pattern, try it. I can guarantee you'll be happy you did. OK, sports fans, that's it for now. Keep cool, and I'll be back soon with another riveting post. The good news is, I finally was able to get my pictures downloaded from my camera. The cord I couldn't find the other day was of course right where it always is. I like to tell myself that the lack of good light on the shelf where it was kept me from seeing it. The bad news is, I'm pretty sure I just walked past it and looked and didn't see it about fifty times. And I wear trifocals. Sigh. In any event, I mentioned a sewing class that I had signed up to take, and it will be starting on Monday evening. It is a three-week class, so [in theory at least] by the end of the class on July 25, I should have a lovely summer dress! I don't think I will ever become a master seamstress, but I am looking forward to becoming more confident in my very basic sewing skills while being able to give a little boost to my wardrobe. Stay tuned to see how it all turns out! That's what this post will be. I have some pictures to show you, but at the moment, I cannot locate the connector to download them from my camera. So you breathless anticipation waiting to see them will just have to continue for now. 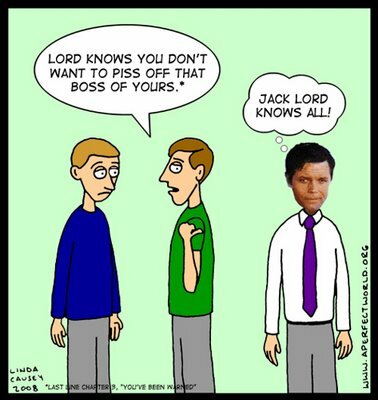 The Evil Boss' last day at work was a week ago tomorrow. No one misses her, and the person who is the interim director has already made some popular changes. I am excited because starting next Monday, and for two more Mondays after that, I've signed up for a class at Spool. I have done sewing before, always quite basic, but though we are making a simple Summer Dress (that's the name of the class), it is lined. I've never attempted such a thing, and am frankly a little nervous. But I'll have someone showing me, not trying to figure it out on my own, so I think it will work. 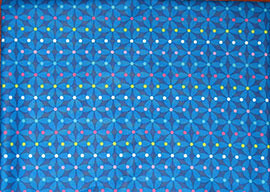 And I love the fabric I bought for it (which is one of the pictures still in my camera)! On Monday while I was home, I tried my hand at making homemade butter, using the directions for a food processor here. It worked, and is it ever yummy! I froze some and left some out for us to use. It was especially good on our corn on the cob that was part of our 4th of July dinner! We don't use butter a lot, but when we do, we like the real stuff (as opposed to margarine or a blend). I was led to the recipe by Maura, who has been trying some amazing and interesting recipes this summer. My lungs have improved after my bout with pneumonia. Enough so that I rode my bicycle the other day for slightly more than 13 miles and didn't feel like I was gonna die. I am so glad to know not just that I'm doing OK, but that I won't have to ignore my bike this summer. Recently, The Tim and I watched "Cedar Rapids" and really enjoyed it. It's funny, and sweet, and was perfect for a Saturday evening. I recommend it, particularly if you are a fan of Ed Helms, who plays the main character. Lorraine informs me that she could be a supplier of Tim Horton's coffee (see comments to this post). Tempting, but I can only guess how much it would cost her to mail it to the U.S. It's so nice of her to offer, but I should probably make an effort (oh the tragedy - effort!) to locate a source in the U.S. for mail order. Or just settle for what we have, which is actually fine. Jetsam and Pip are fine. Jetsam has been spending most of his time during the hot weather under our bed, which he seems to think is a comfy spot. Pip finds this puzzling, and does not understand why Jetsam is so annoyed with him when he is interrupted. Pip has taken to doing something really funny. When he hears the snap of the can of cat food opening at dinner time (they get some of the food in tiny cans. Like Fancy Feast, but most of the time, they are the generic equivalent), he runs out of the kitchen, and does a circle through the hallway, through the dining area, and back to the kitchen. We have no idea why, but it has become known as "Pip's Victory Lap." We had a lovely holiday weekend. For a change, both of us were off work for the entire three days! We had originally planned to go to the shore on Sunday, but it was raining there, so we stayed put. No problem, it still felt like a nice long amount of time. our fortunes and our sacred honor." Today is Canada Day! I would like to wish a happy day and holiday weekend to all of my friends in Canadia. In honor of this day, I thought I would share with you the my top favorite Canadia* things. 1. The Stratford Festival - this event led to my very first trip north of the border, while I was a college student. Not only did it give me an appreciation for Shakespeare (which I had not really had before), but I love the town of Stratford, at least the part I am aware of near the Festival Theater. We used to stay in a B&B run by a lovely woman who our English professor (who was Canadian) knew one way or another. Since college, The Tim and I have had a few opportunities to return, and the festival and the town never disappoint. 2. Tim Horton's - sigh. Now there's one in NYC, and one in my hometown of Wheeling, West Virginia, but you really can't appreciate a Tim Horton's if you haven't been to one of the Canadian ones. 3. London, Ontario - a pretty little town, with a lovely public library. I visited during the fall, and it was like walking through a storybook place. 4. Toronto, Ontario - a great city, with tons of good stuff to see, and where The Tim and I were upgraded to a junior suite at the Four Seasons because they had overbooked. We did our best to accept such an inconvenience. The suite had two bathrooms, and we called my sister in WV to talk to her simultaneously. She said we were acting like Ma and Pa Kettle. 5. Montreal, Quebec - not only beautiful, but they speak French and English like it's no big deal. I tried to order a cheese croissant there, and the bakery clerk, who had spoken to me en Francais, said, "Oh sweetie, just speak English, it will be better for both of us." I went to Mass (also en Francais) at the more than gorgeous cathedral, and it was amazing. Also, walking all over the town underground was so much fun! 6. Halifax, Nova Scotia - oh, how I long to go back. On the water, hilly, beautiful with a poignant cemetery where many of the Titanic victims are laid to rest. We took tour of the harbor on a boat, and it was even more beautiful from the water. 7. St. John's, Newfoundland - OH! The speech with the heavy brogue, the hilly streets and little tucked away coves. It is one of the few places I've been that truly reminded me of home. Plus, it's an hour and a half time difference - now if that doesn't confuse you, nothing will! And we visited Cape Spear, where a) we were greeted by an awesome black Newfoundland dog named Skippy, and where the tour guide took us up into the upstairs of the lighthouse, 'cause it was off-season and he was bored. 9. The Canadian flag - I love maple leaves. Need I say more? 10. The weather - whenever I've visited and it was HOT here, it was always pleasant there. And they have serious winters, which of course I enjoy. P.S. to Toronto Blue Jays fans - though I am sorry you lost your game today on your holiday, I'm afraid I'm still glad that the Phillies won. Forgive me, eh?